Many guidebooks about Crete are unfortunately out of date and only skim the places they mention. Richard brings a fresh approach, and gives more detail while encouraging your own exploration. I’m proud to say I was able to make a small contribution to the book and thoroughly recommend it. The photo on the book cover was taken in Elounda and I’m looking forward to standing right there to soak in the view. Congratulations, Richard for capturing ‘my’ end of Crete so well. 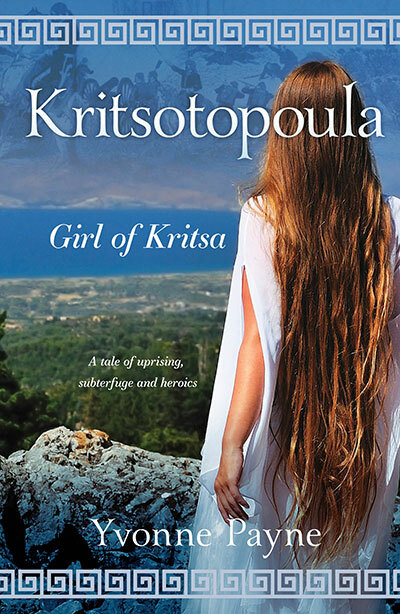 When I visited the Amazon site to copy Richard’s book cover photo I noticed the price of my novel Kritsotopoula, Girl of Kritsa has a limited price reduction on the Kindle version so it is an excellent time to buy if you want to add to your summer reading – Click Here. Yvonne, thank you so much for featuring this, and for the contribution you made to helping me research some of the book. I also love this part of Crete and am also biased as we have a home in Pano Elounda. It was indeed a labour of love and it means so much when someone who knows a place so well has such kind things to say. For anyone planning to visit the beautiful island of Crete, here is a book that could be of use. From the blog of Kritsa, who has written a book about Crete herself, a novel called Kritsopoula, girl of Kritsa.